The project involved the construction of road over rail overpass of the Adelaide to Darwin rail line approximately 12 kilometres south of Alice Springs. 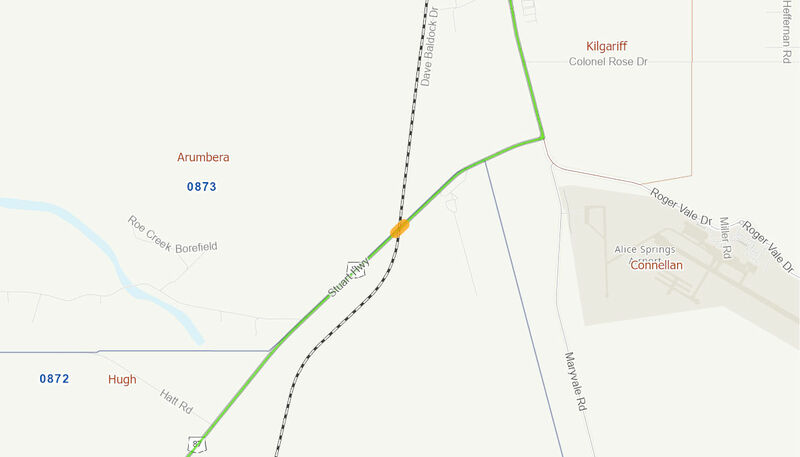 The overpass will improve safety and efficiency on the section of the Stuart Highway immediately south of Alice Springs through removal of the at grade rail crossing. The Australian Government provided $20.79 million to the project. Construction commenced in mid 2014 and was completed in late September 2015.